Then today is your lucky day! The new-ish industry group, the Content Strategy Alliance (CSA), has just released a detailed content strategy handbook with more than 40 templates to make your work life easier and improve the ROI on your content. 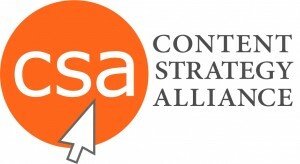 Download the Content Strategy Alliance handbook here. I serve on the Best Practices Committee of the CSA who produced this handbook. If there is something we missed or need to know, feel free to get in touch with me directly. We would love to hear your feedback for our next iteration.